I began this piece in August fresh from the showroom floor kicking it in a cheesie hotel room trashed like all who attended three days of Fly Tackle Dealer in Reno somewhat perplexed. For over two decades I've attended our industry trade show. It’s always left me with a renewed enthusiasm for our industry, its people and fly-fishing in general. Annually it’s the only opportunity we: manufacturers, retailers, media and others vested in the lifestyle of fly-fishing have to gather. Over the past decade, possibly longer, there has been considerable discussion and emphasis on growing our sport and again this topic occupied a fair amount of the daily dialog on the showroom floor, in hallways and during the last forum that I attended on “Women in Fly-fishing”. First off, I'm not a typical shop owner or flyfisher who advocates mainstream philosophies. I'm concerned theses days for what's in the best interest of our industry, fly-fishing in general and most of all your experience. I understand the need for growth as a retailer and industry, but I’m also very cognizant of the fact that the lifestyle we pursue with fly rod and reel is resources limited. Looking ahead I'm less concerned with growing the sport or seeing more fish being caught than I am with making sure we preserve the integrity of fly-fishing, the experience, the health of our fisheries and maintaining access to the waters we fish. 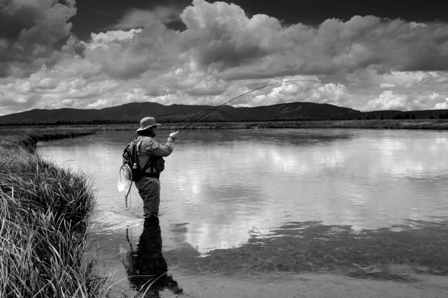 Over three decades have passed since I got serious about fly-fishing. When I started there were no strike indicators, Al Gore had yet to invent the internet and in general there were fewer bodies on the water. Much has changed since then and some of it I find rather concerning, especially the short cuts we condone in an effort to make fishing with flies easier and more effective without regard for the affect some of these practices are having on the fly-fishing and the waters we fish. In an effort to make fly-fishing easier, especially for those just getting started, we have adopted the strike indicator: bobbers, balloons, hunks of yarn, foam, all that take the skill or need of casting a fly with any proficiency out of the equation. On most trout streams flyfishers no longer cast, but lob their flies, wash windows, or chuck and chance. I don’t fault or criticize those who use these techniques, since most have been lead down this path as a matter of convenience, profits and lack of forethought, however I am critical of an industry that has taken the very essence from fly-fishing in order to attract more participants rather than promote fly-fishing for what initially attracted us to it in the first place: the challenge of the game, its grace and eloquence when done right, the sense of accomplishment on a variety of levels, all executed among some of the worlds most incredible landscapes. I don’t know anyone who was attracted to fly-fishing because it was easy, or as a means of catching more fish, yet we’re on this tangent that rarely reflects any of the sports attractive qualities. 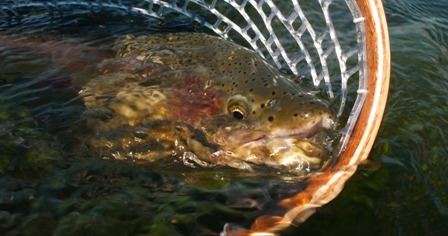 We all have our stories of what prompted us to pick up a fly rod initially. In my early youth I would ride my bike to a friends bass and bluegill pond almost daily. They happened to have a fly rod hanging with their conventional tackle; a Shakespeare Wonder rod with a Perriene automatic reel, that I randomly picked up out of curiosity. On that day my fishing changed forever. The attraction and fascination had nothing to do with its ease or for that matter even catching fish, it was the feel of the rod, the challenge of casting, being mesmerized by the visual display of the fly line unfolding in front of you and the command of it all when it rarely felt right. The fact that it required skill to use only made it that much more appealing. Fly-fishing has taken me to places that few other ventures could have. It's been a life long learning experience that I now have the fortune of sharing with others. Over the years I've put a lot into learning to fly-fish. On many fronts I still do and often I'm still not where I would like to be. There has been frustration along the way, and I still have moments where it all goes helplessly wrong. 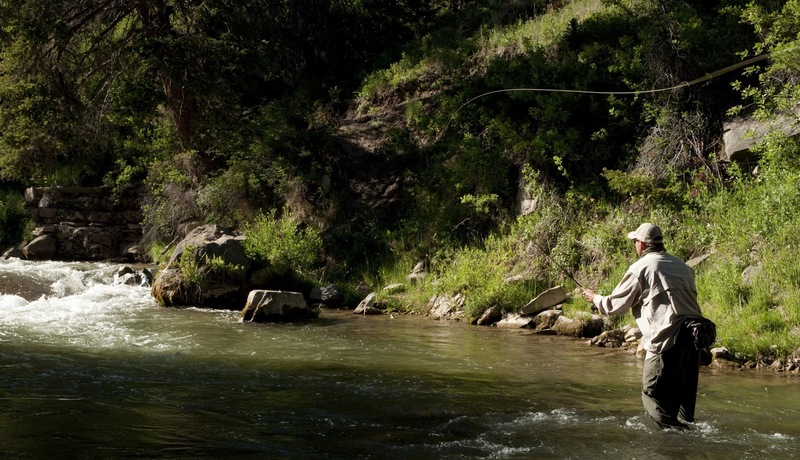 All said and done, fly-fishing can be quite simple, that's its beauty. As long as your fly is in the water you have an opportunity to catch a fish regardless of your abilities. In the grand scheme of things, if you are having fun that's what matters most, yet if you want to truly reap the sports greatest rewards you'll need to put your time in. The fact that it is challenging has a great deal to do with its appeal. Personally I can think of few things in life as enjoyable as spending time on the water, playing this game, casting fur and feather to lure a fish to take a fly, and when that happens because of the essence of it all its magical.